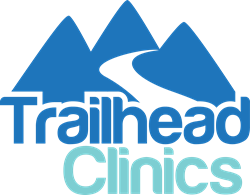 Trailhead Clinics, Grand Junction’s newest direct primary care provider, is officially accepting new members. Dr. Robert Boyer and his team are preparing for the clinic’s Grand Opening in September 2016 and are accepting a limited number of patients to downtown’s first membership-based, family doctor. Trailhead Clinics, Grand Junction’s newest direct primary care provider, is officially accepting new members. Dr. Robert Boyer and his team are preparing for the clinic’s Grand Opening in September 2016 and are accepting a limited number of patients to downtown’s first membership-based, family care clinic. For as little as $69 per month, patients receive unlimited wellness visits, wound care, annual exams, family planning and urgent care for acute problems such as sprains and fractures. This includes 24/7 access to friendly-family healthcare and significant discounts on immunizations, lab tests and other medical tests that can otherwise be very expensive. Trailhead Clinics provides a new path to better health. By providing a membership based healthcare clinic, insurance companies are not involved and are unable to limit the time spent with patients or the ability to provide quality care. Dr. Boyer and his team are able to spend more time getting to know each patient and every family that becomes a member of Trailhead Clinics. “We are very excited to bring additional options for primary care to the Grand Valley,” said Dr. Boyer, MD. “Trailhead Clinics will give me the opportunity to take care of my patients on a deeper level than a traditional primary care clinic.” Dr. Boyer is a board certified family physician and has been practicing in the Grand Valley for three years. Since Dr. Boyer will only see a limited number or patients, he will have time for extended visits to ensure that all of his patient’s health concerns are addressed. At Trailhead Clinics, all preventative care is provided at no extra cost, so patients are able to be healthier and save money. No insurance is ever necessary or billed for medical services performed at the clinic. Trailhead Clinics is accepting new patients now. Become a member today by signing up online at http://www.trailheadclinics.com or inquire by phone at 970-644-5999.